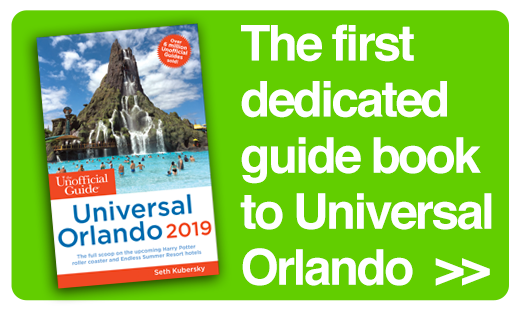 In this week’s post, Bob Sehlinger and Len Testa, authors of The Unofficial Guide to Walt Disney World, discuss the many wild and amazing Central Florida Roller Coasters. If you go to a party where folks are discussing Immelmanns, heartline rolls, dive loops, and LIM launchers, don’t mistake the guests for fighter pilots. 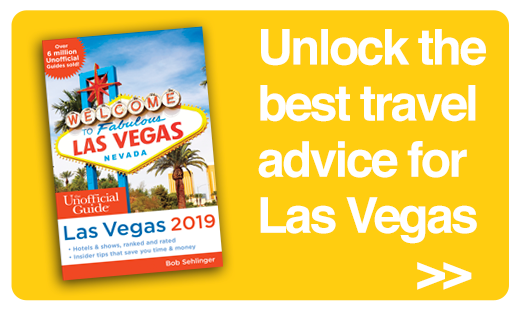 Rather, you’ll be among the intelligentsia of roller coaster aficionados, united in the belief that these thrill rides are—or ought to be—the heart of every theme park. Though Disney pioneered the concept of super-coasters with its Matterhorn Bobsleds at Disneyland in 1959, it took them 16 years to add another roller coaster—Space Mountain at Walt Disney World—to their repertoire. In relatively quick succession followed Space Mountain at Disneyland and Big Thunder Mountain Railroad at both Disney parks. 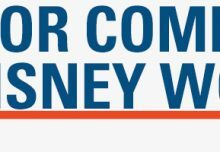 But irrespective of the Mountains’ popularity, Disney didn’t build another coaster in the United States for almost 20 years. In the interim, coasters enjoyed a technical revolution encompassing aircraft carrier–type launching devices and previously unimaginable loops, corkscrews, vertical drops, and train speeds. Busch Gardens was the pacesetter during this period, launching Kumba in 1993, with its 114-foot vertical loop and seven inversions overall, and, in 1996, Montu, then the world’s tallest and fastest inverted roller coaster, with a maximum height of 150 feet and speeds of 65 miles per hour. 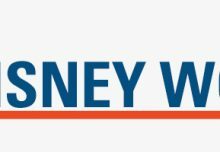 Through all this, Disney sat on the sidelines, believing storylines and visuals should trump thrills and chills. 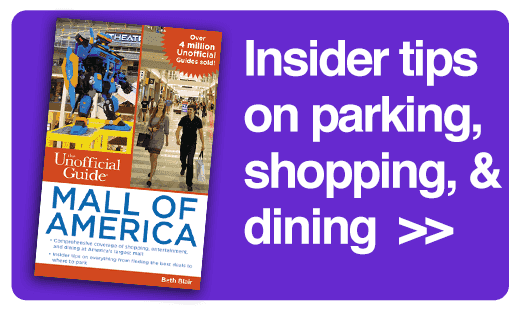 But when archrival Universal announced plans for its Islands of Adventure (IOA) theme park, featuring an entire arsenal of honest-to- Pete thrill rides, Disney, spurred by competition, finally went to work. 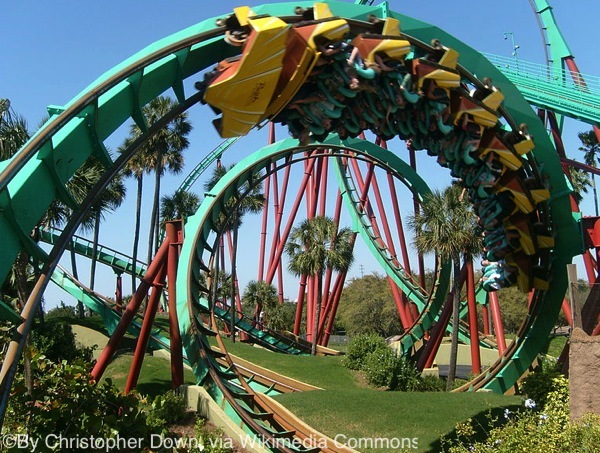 The upshot was a banner year in 1999 for Central Florida roller coasters, with The Incredible Hulk Coaster, Dueling Dragons: Fire and Ice (later Dragon Challenge, demolished in 2017) opening at IOA; Rock ’n’ Roller Coaster coming online at Disney’s Hollywood Studios; and Gwazi, a wooden coaster, debuting at Busch Gardens Tampa (it closed indefinitely in 2015). Close on their heels in early 2000 was Kraken at SeaWorld. All of these coasters, except for Gwazi, featured inversions, corkscrews, and rollovers. 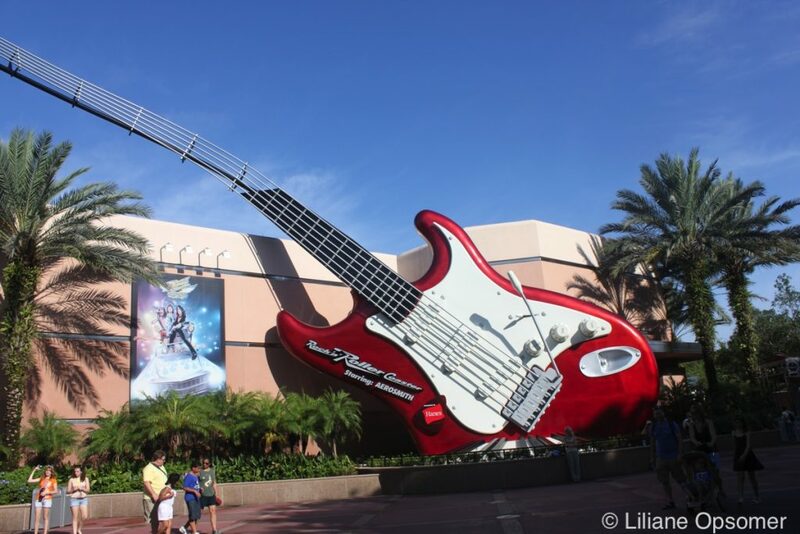 Best of all for thrill-ride mavens, none of the players were content to rest on their laurels: Universal Studios Florida (USF) came back with Revenge of the Mummy in 2004, followed by SheiKra at Busch Gardens in 2005 and the awe-inspiring Expedition Everest at Animal Kingdom in 2006. The spring and summer of 2009 marked the debut of Manta at Sea World Orlando and Hollywood Rip Ride Rockit at USF. Manta is an inverted steel coaster on which riders are suspended under the tracks, prone and facedown; Rip Ride Rockit is also a steel coaster, only here you sit as opposed to being suspended. The first hill is a 16-second vertical climb, followed by a 65-mph plunge. 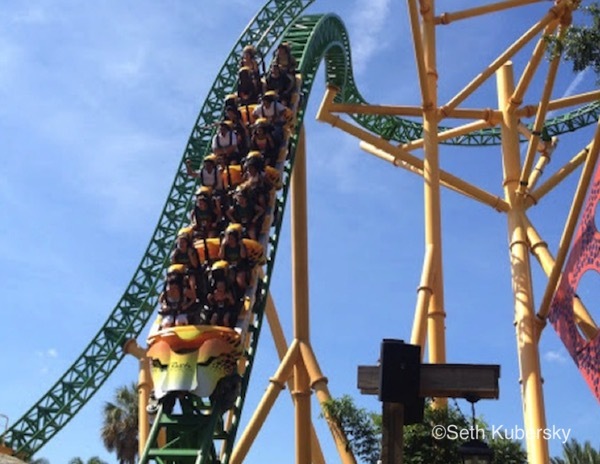 Two years later, Cheetah Hunt, a launched coaster, opened at Busch Gardens. 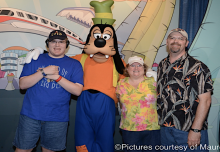 The spring and summer of 2014 witnessed the unveiling of two new coasters: Seven Dwarfs Mine Train at the Magic Kingdom and Harry Potter and the Escape from Gringotts at Universal Studios Florida. 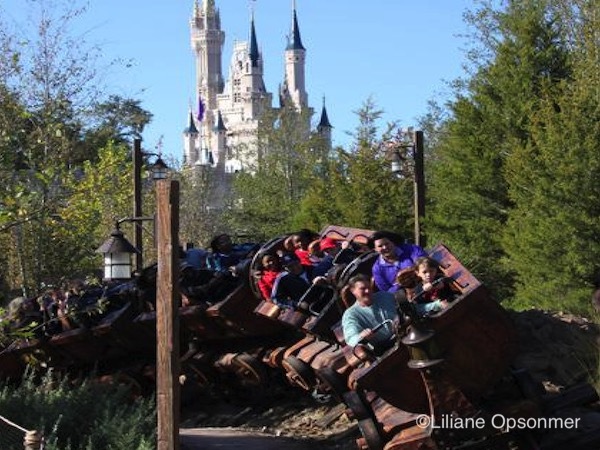 Seven Dwarfs Mine Train, a family coaster, offers modest speeds, small hills, and a look at the Dwarfs’ cottage and gem mine; its ride vehicles swing slightly, almost imperceptibly, from side to side. Gringotts is a 3-D steel coaster ride through the bank vaults made famous in the Harry Potter books and movies. Stunning visual effects are emphasized over raw speed or height—there are no loops or inversions. And, unlike Seven Dwarfs Mine Train, Escape from Gringotts is totally indoors. White Lightning debuted in 2013 at Orlando’s Fun Spot America theme park. It offers a surprising amount of air time for a small wooden coaster. With a max vertical of 58 feet and reaching speeds of 44 mph, it delivers a surprisingly smooth and satisfying thrill experience for a family coaster. Its Fun Spot sibling is Freedom Flyer, a low-to-the-ground inverted steel coaster. Also a family coaster, it hits speeds of 34 mph (the same as Seven Dwarfs Mine Train) as your feet dangle over pedestrian traffic below. It’s known for its tight whiplash turns. 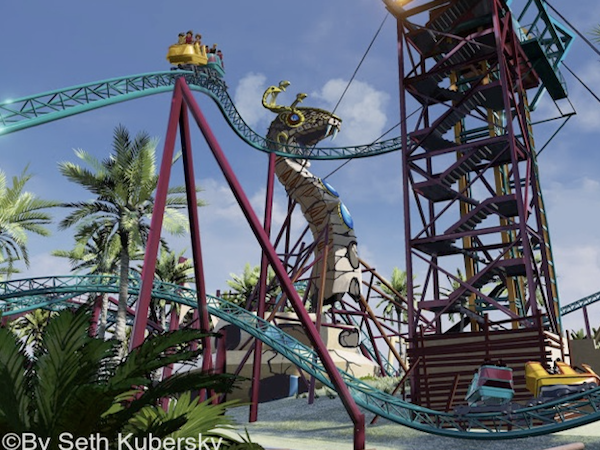 New for 2016, Busch Gardens’ Cobra’s Curse is a combo roller coaster, wild mouse, and spin coaster that hits top speeds of 40-plus mph over its 2,100-foot layout. The ride is zippy enough, but the real Cobra’s Curse is that it can handle only 1,000 riders an hour, a paltry number in the world of modern coasters. The big coaster news in 2016 was the opening of Mako at SeaWorld. Overnight it became the longest, highest, and fastest coaster in Central Florida. It doesn’t have any inversions, but it’s an air-time supercoaster. On tap for 2019 is the Skyscraper, to be located at the new Skyplex entertainment development off International Drive. Designed to minimize the attraction’s footprint, the track wraps around and down a 500-foot-high vertical tower. Highlights of the descent include seven inversions, a drop with an angle of 123 degrees, and a top speed of 65 mph. 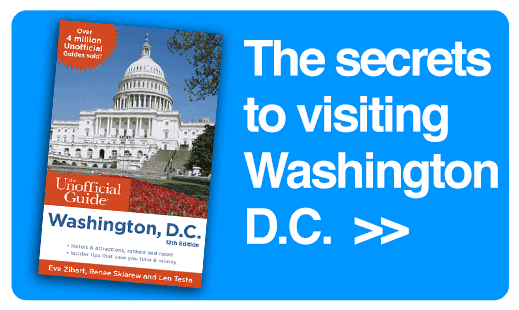 Construction was supposed to begin in 2015 but hadn’t started as of spring 2017. What did premiere in 2017 was the Mind Blower wooden coaster at Fun Spot America in Kissimmee. 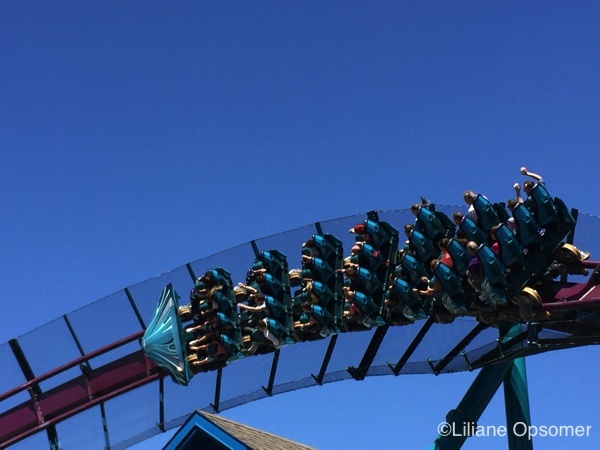 With one corkscrew inversion, Mind Blower is the real deal for coaster lovers. The next horizon for roller coasters is when the ride is synchronized with a virtual reality (VR) program by means of a headset, either portable or attached to the ride. Cedar Point theme park in Sandusky, Ohio, along with several Six Flags parks, has operational VR coasters. In Central Florida, Kraken at SeaWorld is undergoing an extensive redesign that includes the addition of VR. 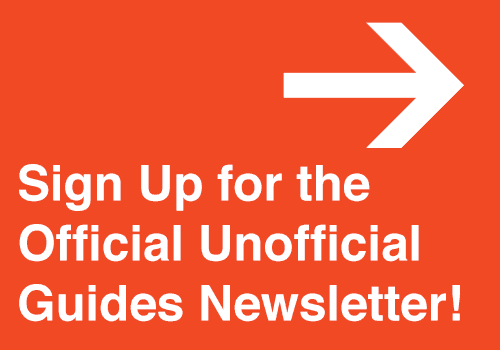 The enhancement is expected to be commonplace worldwide within four years. 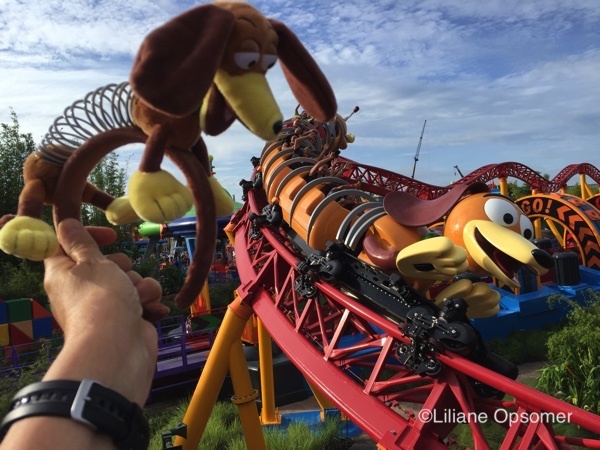 June 2018 saw the addition of Slinky Dog Dash, a mild family coaster, to Toy Story Land at Disney’s Hollywood Adventure. It’s a little more intense than Goofy’s Barnstormer at the Magic Kingdom but more comfortable for adult-size riders. Today there are 13 big-time roller coasters in Central Florida, 23 if you want to include the tamer Space Mountain, Seven Dwarfs Mine Train, and Big Thunder Mountain Railroad at Walt Disney World; Flying School, Lego Technic Test Track, and Coastersaurus at Legoland Florida; Escape from Gringotts at Universal Studios; Cobra’s Curse at Busch Gardens; and White Lightning and Freedom Flyer at Fun Spot America. Cheetah Hunt, The Incredible Hulk Coaster, Revenge of the Mummy, and Rock ’n’ Roller Coaster feature accelerated launch systems in which the train is hurled, slingshot-like, up the first hill; Rock ’n’ Roller Coaster and Revenge of the Mummy are indoor coasters augmented by mind-blowing visuals, special effects, and soundtracks. 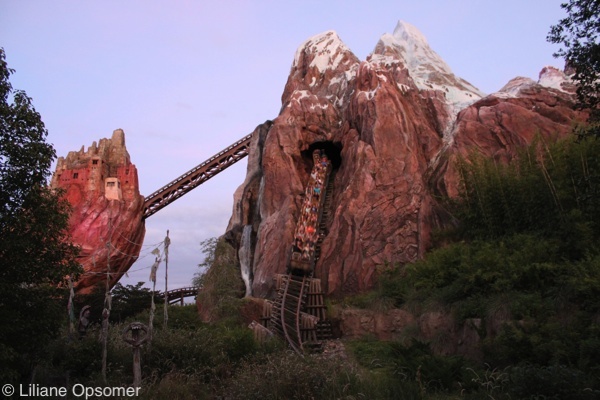 Expedition Everest is the most fully realized attraction of the 13, with a storyline, astounding attention to detail, and a track that plunges in and out of the largest (albeit artificial) mountain in Florida. Mako, Kraken, Cheetah Hunt, and Expedition Everest are the longer roller coasters of the lot, their tracks exceeding 4,000 feet long. Montu at Busch Gardens is inverted, meaning the track is overhead and your feet dangle. Having ridden all of these Central Florida Roller Coasters until we could no longer walk straight, we ranked our 17 favorites coasters. 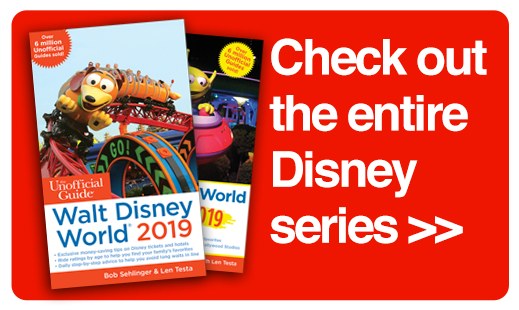 (We included Space Mountain, Seven Dwarfs Mine Train, and Big Thunder Mountain Railroad in the list for sentimental reasons and because they’re good for families.) 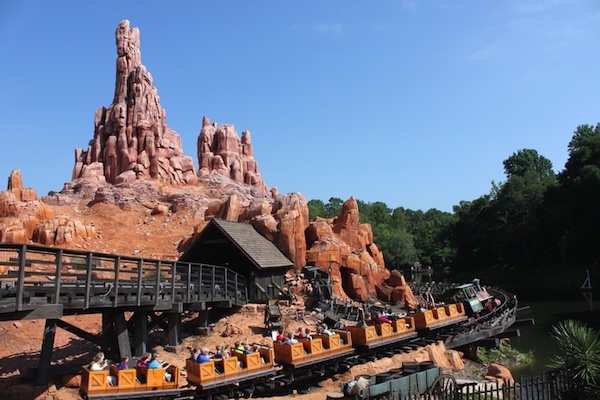 Be on the lookout for our next blog post to discover our favorite Central Florida roller coasters!